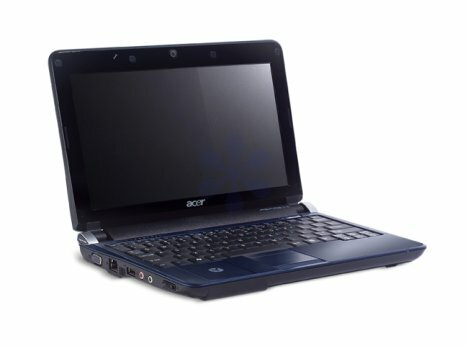 Previously we mentioned about the first Acer Aspire powered by Nvidia’s Ion targeted for Nettop market, now there seems to be an alternative solution to accelerate HD (High Definition) hardware decode capability with powerful chipset other than Intel’s relatively inferior 945GSE chipset, that able to boost up media playback with up to 720p HD resolution. Named as Acer Aspire One 571, it is equipped with Intel Atom N280 processor and featured with 10.1-inch LCD display with 1280 X 720 resolutions just like common nettop system designs in the market. What makes it so unique is instead of pairing with Nvidia’s Ion chipset, it utilizes Quartics Q1721 Multimedia Co-processor that able to offload all the graphics intensive processing such as video decode of MPEG-2, H.264 or VC-1 codec suitable for mainstream multimedia centric applications. Interestingly, the machine is expected to be equipped with Blu-Ray optical disc drive that makes it stand out from the crowds so that users can enjoy the multimedia capability while on the move. No pricing and availability yet, the nettop solution may able to compete well even in entry level notebook market with its excellent hardware specifications while maintaining low in cost and power consumption.